Trading platform independent (call the strategies from any trading platform that can call external libraries without the need to recode). Right now we have implemented 3 front-ends MT4/Mt5/AsirikuyTrader. The Asirikuy Trader program can be used to trade in Oanda (Java and REST API) or Dukascopy (JForex API). Code once, trade everywhere. Get daily data from Yahoo/Quandl with a single code call. Behavior is the same under live/back-testing so you can easily back-test strategies containing data outside of your FX instruments. Load data from multiple symbols and/or timeframes. Automatic NTP time detection and automatic correction and data refactoring against any broker’s time definition (in summary, ensure data always has the same timestamp and weekly opening/closing times for the system, regardless of the broker used). More than 15 different sample strategies, including machine learning strategies using regression mechanisms, neural networks, etc. Strategies include volatility breakout strategies, universal breakout strategies, counter-trending strategies, etc. 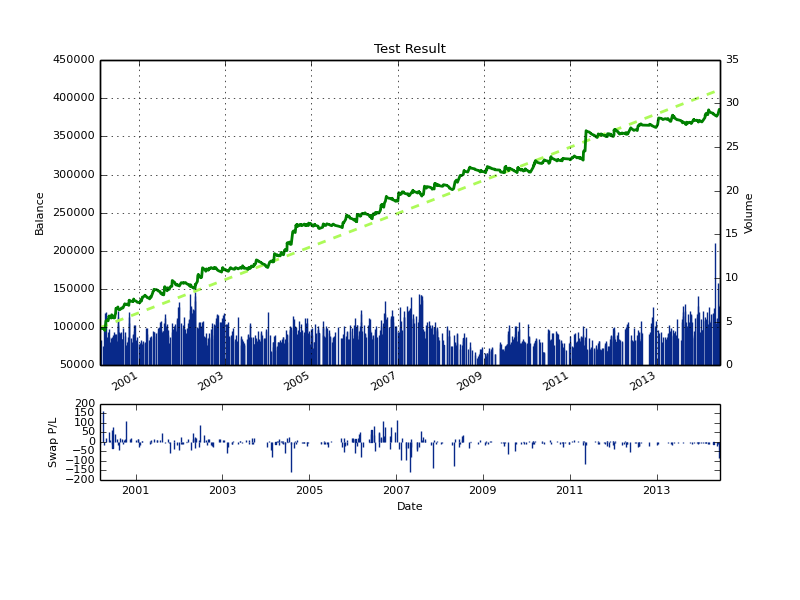 Generate graphs with regression lines, swap, volume and balance information. Generate HTML report with statistical information. Back-test system combinations (portfolios) even across multiple symbols. Optimize systems using the powerful Gaul genetic library. Optimize towards any desired target. 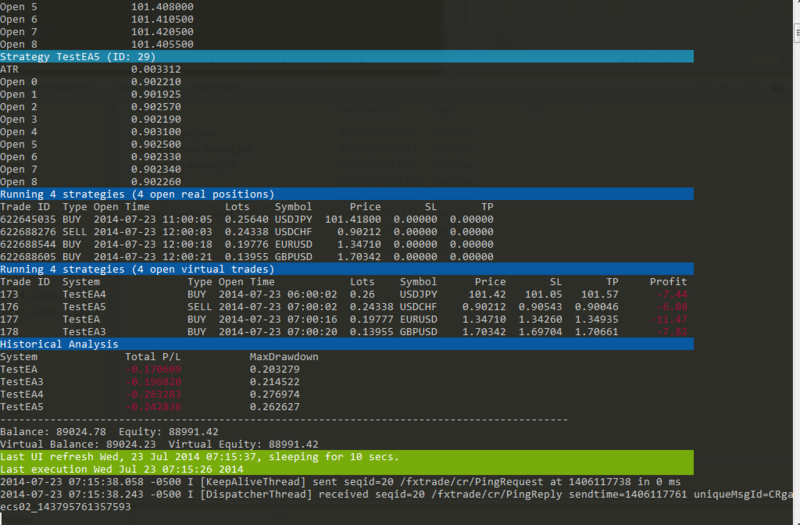 Internal OrderWrapper allows for the trading of multiple systems on Oanda, despite the broker’s net positioning approach (only one position per symbol). The program manages all virtual orders internally and consolidates them against real positions. Trade any number of systems. Error emailing system, receive an email in case of any error within the trader (provided there is a viable internet connection). You can also configure the severity of the errors you receive. Using the F4 framework to build systems is a convenient and powerful approach to the development of trading strategies. All systems built within the F4 framework are compiled into a single shared library and the library is then called from a front-end on the desired trading platform. The image below highlight the steps to use the F4 framework to create new systems. 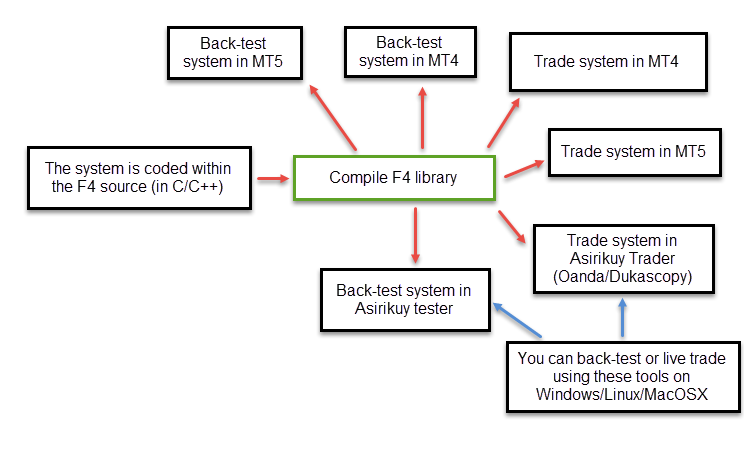 After compiling your F4 library you can back-test or live trade your system within a wide variety of platforms.